Mildred Barnes sat for this portrait in Italy in 1898. 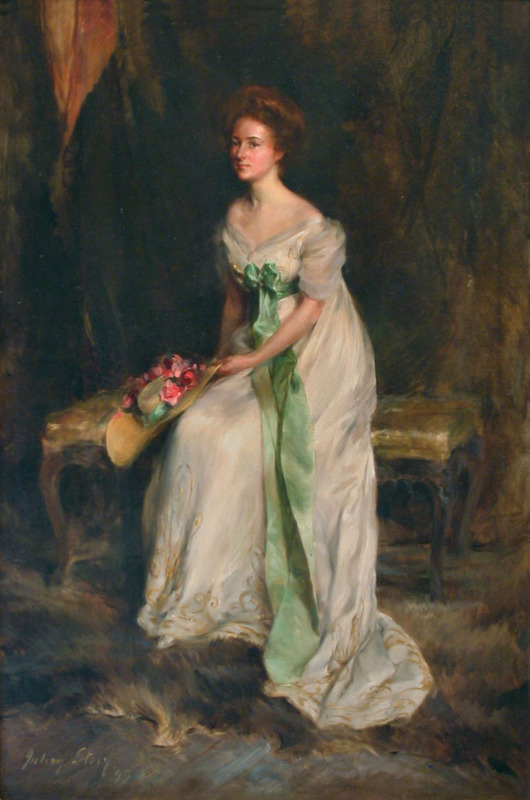 At her death in 1969, the painting was bequeathed to Mrs. Gilbert L. (Victoria Stuart Tytus) Stewart Jr., her goddaughter. Upon her death in 1980, the painting was bequeathed to the Dumbarton Oaks Research Library and Collection.